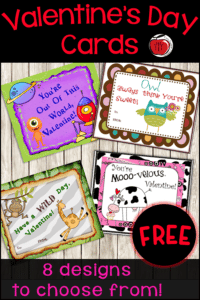 Do you give your students Valentine’s Day cards? Every year I give my students a little Valentine’s Day treat with a card attached. Here is a little treat for you! 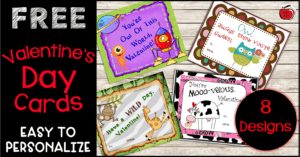 Eight different Valentine’s Day cards for you to use in your classroom. I have created designs that will interest all of my students. If they like space, I have one for them. If they like hearts and flowers… I’ve got the perfect one for that. All you have to do is print off the cards and then cut them out. I suggest printing them on card stock so they are sturdier. There are 4 cards on each page to save on printer ink and paper! 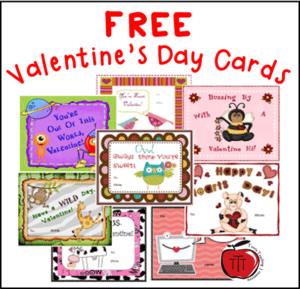 Do you have students with no Valentine’s Day cards? 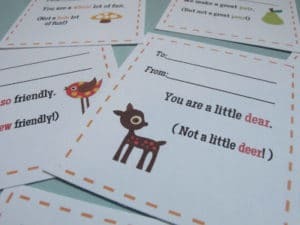 I always have extra cards printed out and ready to go for those students who show up on Valentine’s Day without cards to hand out. I want all my students to feel comfortable and I know that not all students can afford cards for their friends. 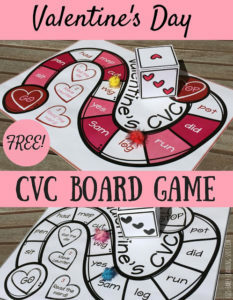 Or some students forget their Valentine’s Day cards at home. Because of these reasons I have extras for them to choose from. All you have to do to get your free copy today is to click on any picture or RIGHT HERE!